Burfday is definitely a word. On the 8th of August I turned 16! I had an amazing day with my family and got some lovely birthday messages from you guys on twitter and in the comments. Thank you so much to anyone who sent me birthday messages; it made my day. :) My party was on the 6th so I got to spend time with my friends before my birthday. The party was awesome and I'm incredibly grateful for having such great friends. I posted about the party here. I am glad you called the Ukulele Finn, it is a really great choice given that it was such a shame that he died. I've heard so much about Attachments and am definitely going to buy it. Thank you! It really is beautiful and yep, Rainbow Rowell did write Eleanor and Park (SUCH a good book by the way). :D I'm planning on reading Divergent pretty soon - everyone's raving about it and telling me it's amazing so I really feel like I should...haha! A very merry late birthday to you! For some reason you aren't turning up in my dashboard so I'm sorry that this is so late! 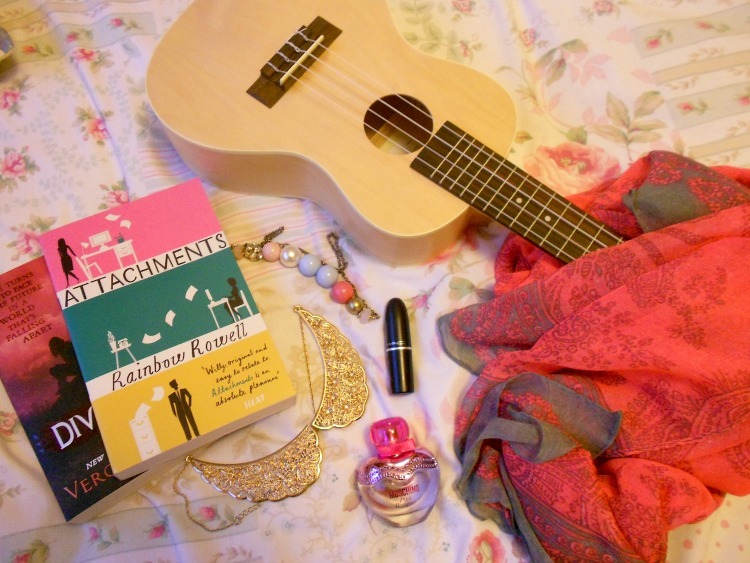 That ukulele is beautiful, I'm so jealous! And the name you chose is so good, I'm still getting over it, it was so sad. :(( I might name mine Mcguire after my obsession with the Lizzie Mcguire film! Ahhh I wish I could have all your prezzies, there all so lovely! I'm going to read Divergent soon as I've been told its really good, I'm reading To Kill A Mockingbird at the moment for school, so I'll read it over Christmas, as I will be school free!